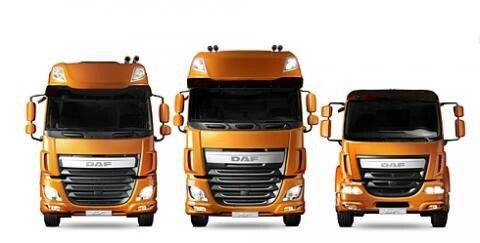 New Euro 6 model DAF trucks now available for immediate or early delivery. We are specialists in crane & construction trucks. More information can be found at www.daf.ie or you can download one of the DAF product range brochures below. North Dublin Commercials, authorized DAF dealer, always have in stock a selection of new and used DAF Vehicles, fitted for various applications and ready to go. LF - DAF LF range covers GVW from 7.5ton to 18ton with a wide choice of chassis types and lengths to suit your application. CF - DAF CF range covers from 18ton to 44ton GVW, rigids and tractors, for a wide range of application. XF - DAF XF Tractor range from 44ton to 80ton GVW. Heavy Haulage range from 80ton to 250ton GVW.